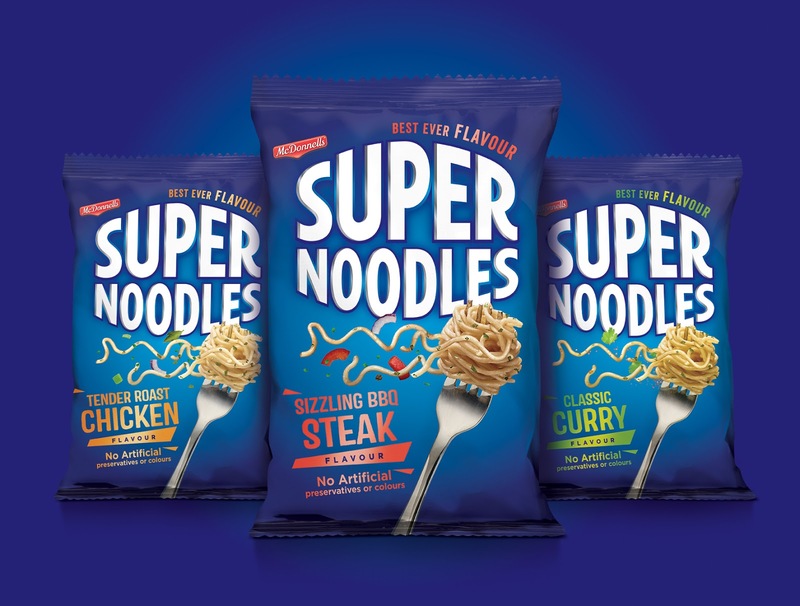 Applying their ShelfHappy® design principles, Family (and friends) have helped Irish brand McDonnell’s Supernoodles clarify their market position as a ‘flavour champion’ in the hot savoury snacking sector. 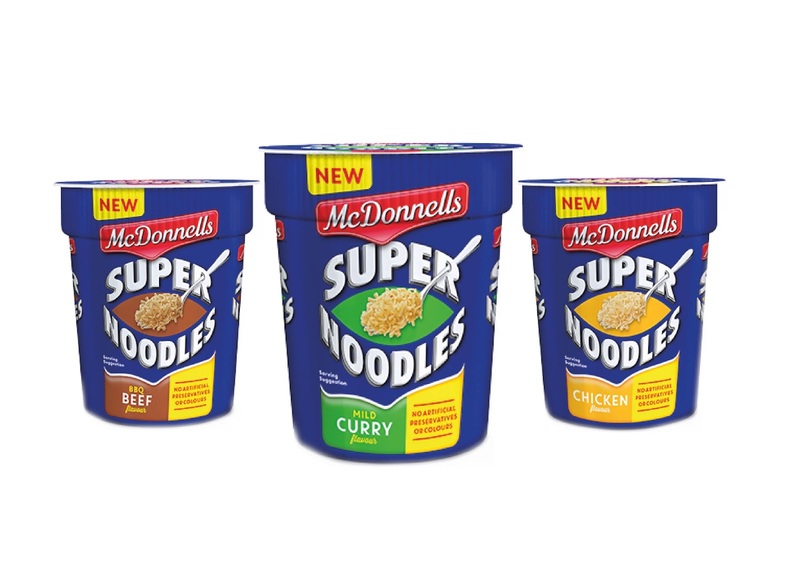 Historically, McDonnells makes Ireland’s favourite curry sauce. The secret recipe for McDonnell’s Original Curry was developed especially for the Irish palate, using an eclectic range of spices sourced from around the world. 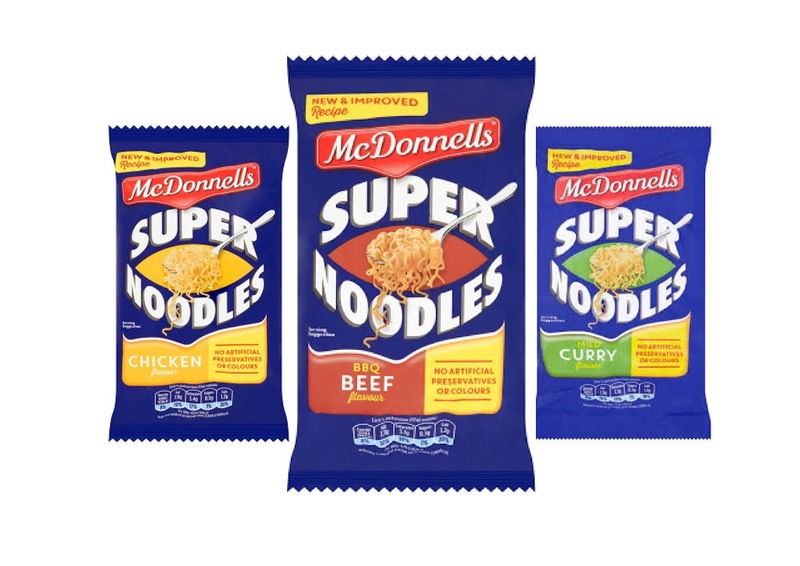 The range more recently includes Supernoodles, available in Chicken, Curry and BBQ Beef flavours in single packs, multipacks and pots. To introduce the ‘best-ever flavour’ line up, with a reminder that the products contain no artificial preservatives or colours, F&f were asked to refresh the brand with populist, unpretentious and non-ethnic cues, but to also avoid laddish or crass overtones. The aim was to forge the brand’s big idea into the packaging, improve shelf standout and increase personality, which is described as ‘popular, playful, energetic and larger than life’. 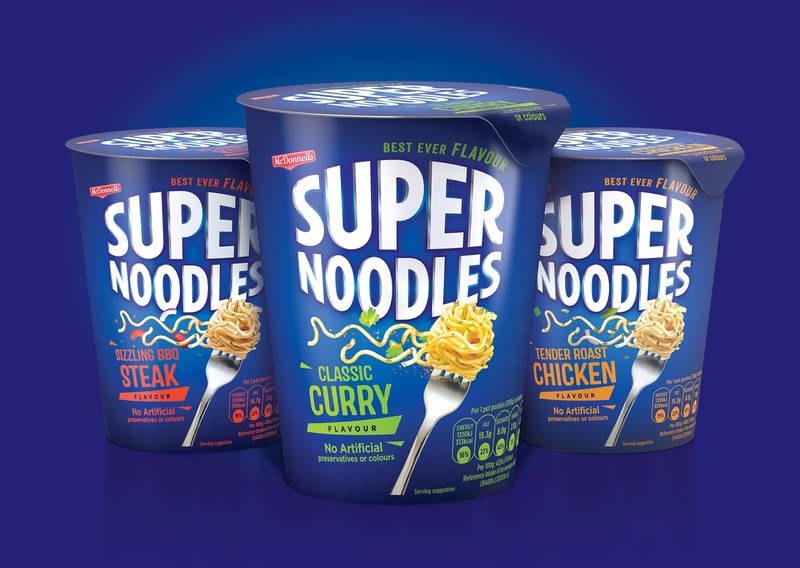 The logo has been given an impactful ‘broad chest’ and, for fun, “the fork icon becomes a dynamic superhero, caped in noodles, dashing across the pack carrying flavour” says Derek Johnston, strategy director at F&f. In an important move in packaging quality and sustainability, the pot variants now use a removable card sleeve to improve recycling. The brand sells across major multiples and local stores across Ireland and has already experienced positive sales. 0 comments : Supernoodles are go!